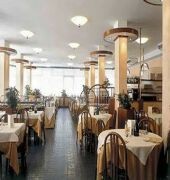 This 4 star hotel is located in the city center of Rome and was established in 1900. It is close to the Basilica San Giovanni and the nearest station is Termini. The Hotel has a restaurant, a bar and a coffee shop. All 33 rooms are equipped with minibar, hairdryer, safe, trouser press and air conditioning.Breakfast on the terrace overlooking the historic center%u2013 can you think of a better way to start your day in Rome.Hotel Gallia faces the Basilica of Santa Maria Maggiore.This grand hotel is set in a historic building, which was completely renovated and reopened in 1999. It features elegant guest rooms, all of which are completely soundproofed and air conditioned.At Hotel Gallia you are invited to relax in the library, bar, and especially out on the panoramic terrace. The friendly team of staff at the 24-hour reception are always available to book guided tours, theater tickets, and much more. 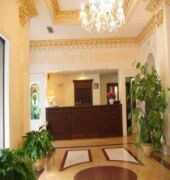 The GALLIA is a Tourist, Traditional hotel. Located in Historical Centre area. Shopping is accessible by bus/taxi and the nightlife/restaurants are easily accessible by taxi or bus from the hotel. 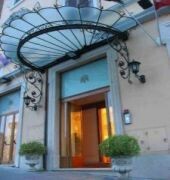 Descriptionclass="small" style="text-align: justify; font-size:11px;">This 4 star hotel is located in the city center of Rome and was established in 1900. It is close to the Basilica San Giovanni and the nearest station is Termini. The Hotel has a restaurant, a bar and a coffee shop. All 33 rooms are equipped with minibar, hairdryer, safe, trouser press and air conditioning.Breakfast on the terrace overlooking the historic center%u2013 can you think of a better way to start your day in Rome.Hotel Gallia faces the Basilica of Santa Maria Maggiore.This grand hotel is set in a historic building, which was completely renovated and reopened in 1999. It features elegant guest rooms, all of which are completely soundproofed and air conditioned.At Hotel Gallia you are invited to relax in the library, bar, and especially out on the panoramic terrace. The friendly team of staff at the 24-hour reception are always available to book guided tours, theater tickets, and much more. We arrived late & left early. Seems v central location. Rooms were clean & comfortable. Bathrooms rather simple and could do with a refurbishment but again were clean. We had breakfast which was very nice. Nice place. Lovely staff. We thank you for selecting our hotel for your stay in Grenoble. It was a pleasure to welcome you and we were happy to get to know you. 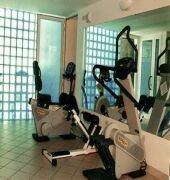 Reading that you enjoyed our location, the cleanness and comfortable aspect of our rooms and bathroom is very flattering. We are also happy to know that you enjoyed our breakfasts. We thank you for publishing this review and we are glad to know you enjoyed our location and our team ! We hope to hear from you soon and we stay at your disposal until your next visit ! We were passing through on the bike and needed a good value place to stay. The room was a good size with a comfortable bed. The bathroom was clean although the bath was tiny and the shower was just ok. The staff were very friendly and spoke English. There was parking in the garage or on the street. The hotel was in a good location not far from amenities. We opted for the breakfast which had a good selection and we enjoyed it. We thank you for selecting our hotel for your stay in Grenoble. It was a pleasure to welcome you and to know that you found our hotel decent and clean. We were happy to get to know you. We thank you for publishing this review and we are glad to know you enjoyed our price range, the comfort of our bed, our location, our breakfast and our team ! Pictures on different websites were relative good. However, not a single picture of the bathrooms. It os now clear why there are no pictures of bathrooms. The bathrooms are terrible. Hotel need a total makeover !!! Very friendly hotel, excellent value, would definitely stay again. Room was very clean and the bed was really comfortable, just what I needed after a day on the bike. Easy to see Grenoble from here, just had to jump on the tram to get about.